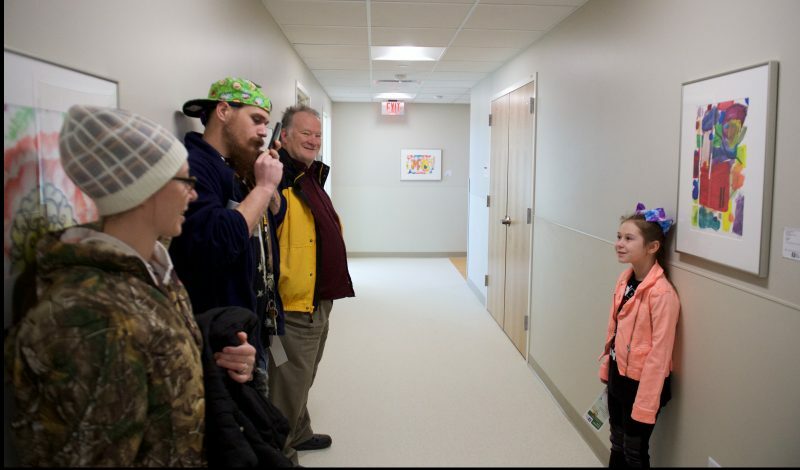 Patient Brooklynn Koeller, 3, helps cut the ribbon for the new Health Center in Mansfield. 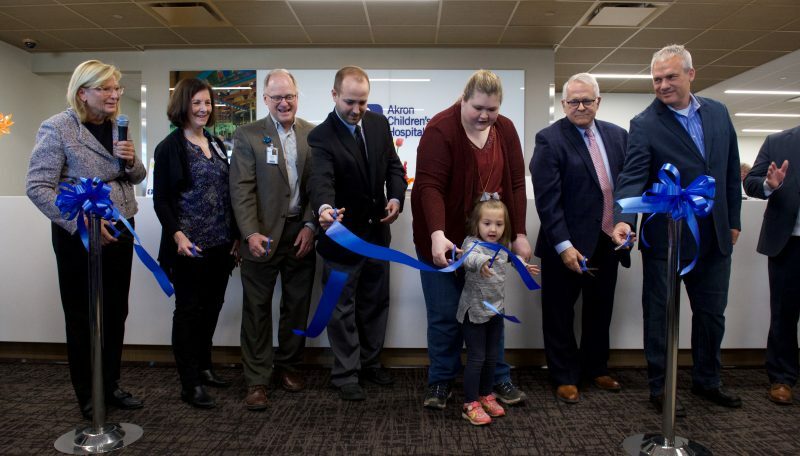 Community members, government officials and employees came out to attend the open house at Akron Children’s Hospital’s new health center in Mansfield. 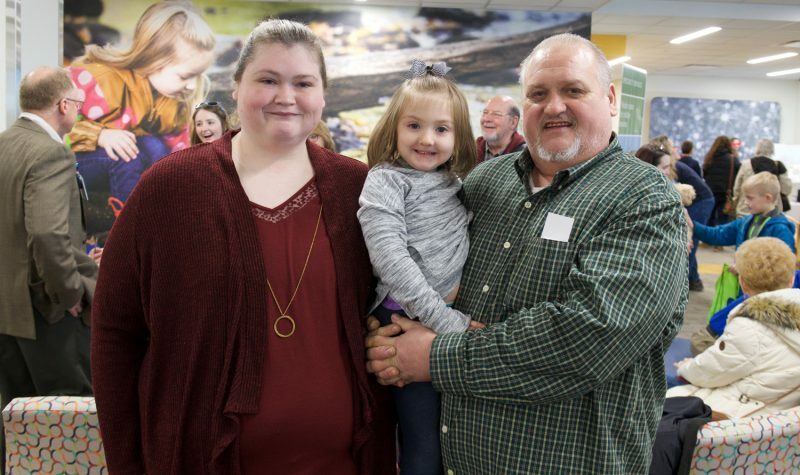 The event’s ribbon-cutting ceremony featured remarks from the hospital’s President and CEO Grace Wakulchik, Hospital Chaplain Matthew Tweddle, and local Mansfield mother Tabitha Koeller, whose daughter Brooklynn has been a patient at Akron Children’s since birth. Tabitha and Mike Koeller were the event’s feature family. They shared their story of Brooklynn’s determination to just be a kid. Grace noted the hospital’s commitment to ensuring busy families, wherever they live, can find quality pediatric care close to home. Mansfield Health Center is located at 1029 S. Trimble Road. 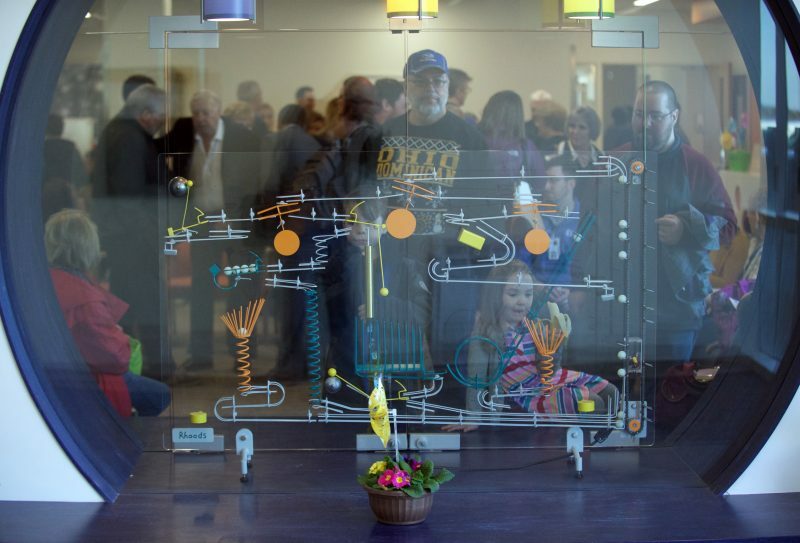 During the open house, visitors were greeted by friendly faces, entertainment and larger-than-life murals and artwork as they toured the more than 32,000-square-foot building. 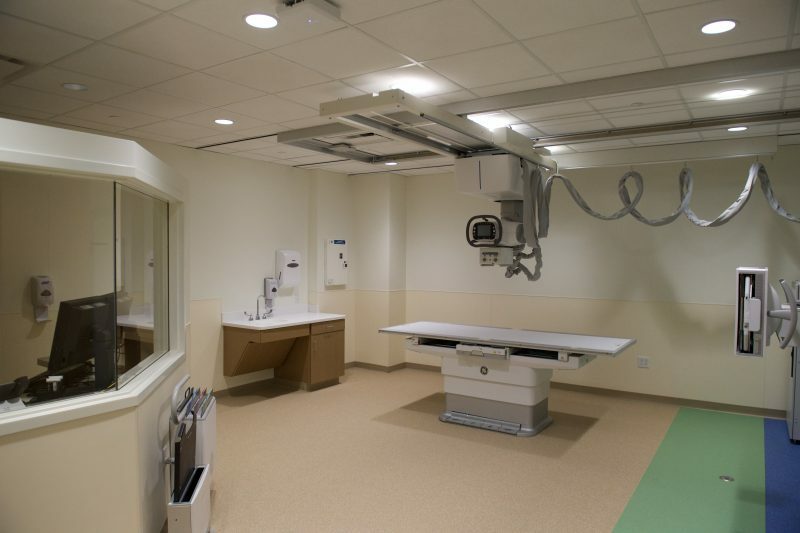 specialty services, including allergy/immunology, cardiology, gastroenterology, hemostasis and thrombosis, laboratory services, maternal fetal medicine, nephrology, orthopedics, radiology and urology. Drs. 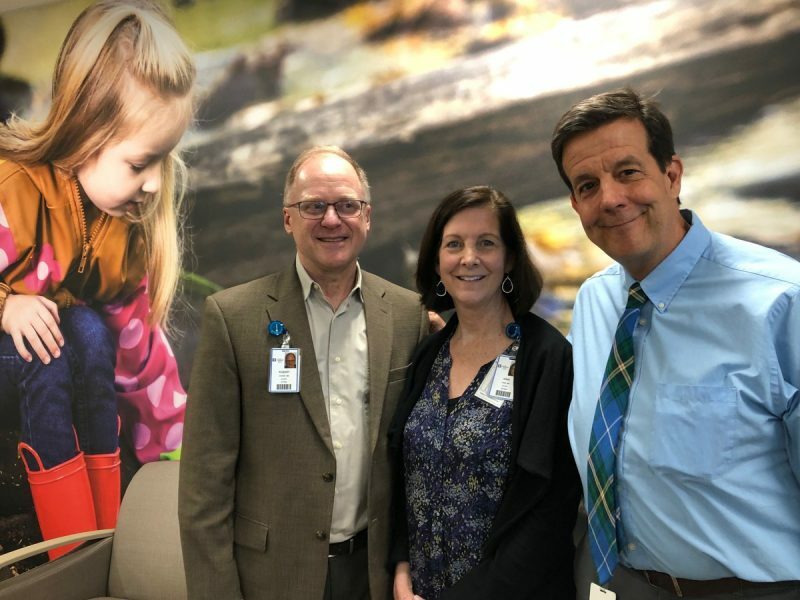 Robert Burns, Erin Fain and Mark Redding are part of the primary care team of 12 who will be seeing children in this Akron Children’s Hospital Pediatrics (ACHP) office. 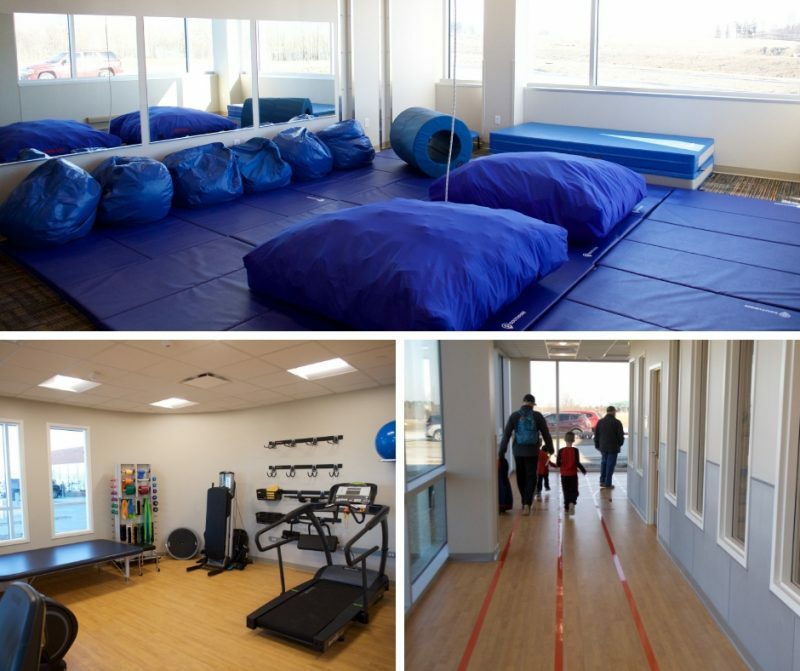 Rehabiliatative Services areas for pediatric occupational, physical and speech therapy. 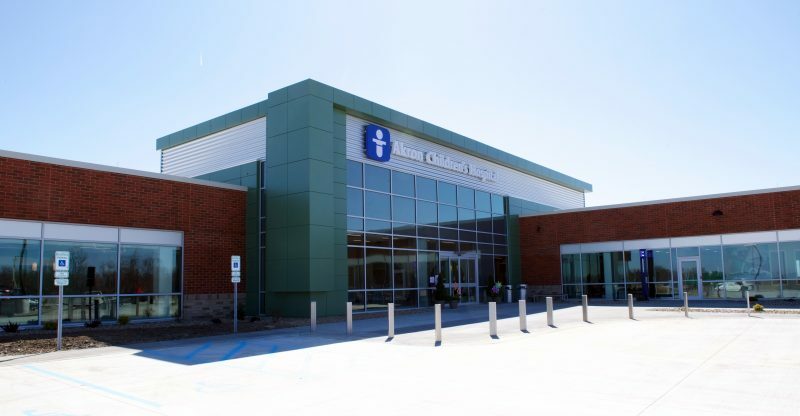 The Akron Children’s Health Center, Mansfield is located at 1029 S. Trimble Road in Mansfield. 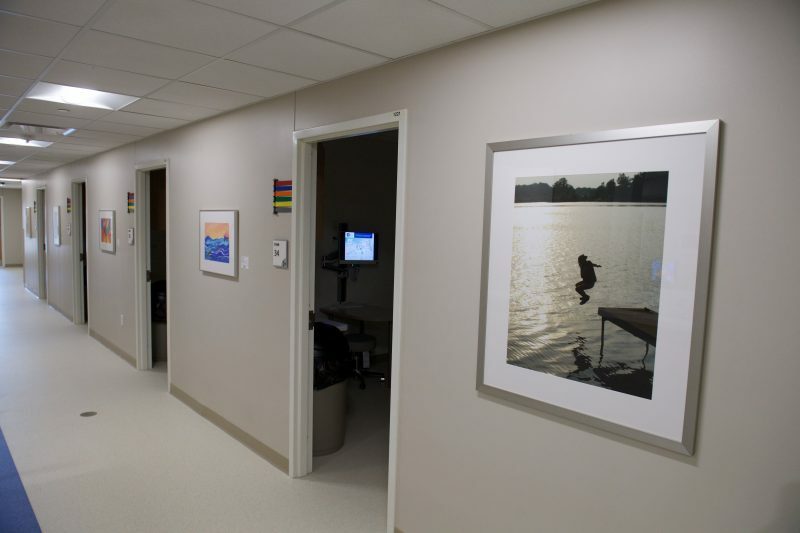 The center officially opens March 26. At the event, families enjoyed entertainment from “Mr. Zap” who created all types of thrilling bubbles – from tiny to life size. 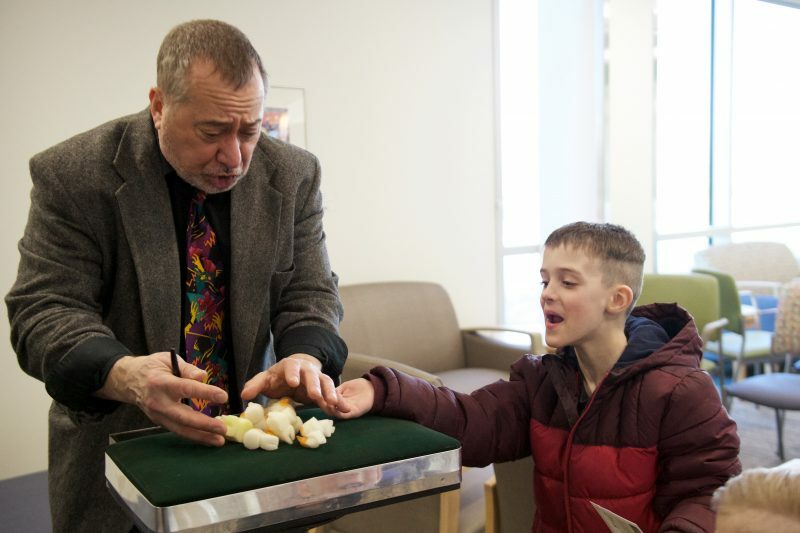 A magician also amazed visitors with puppets and clever routines. 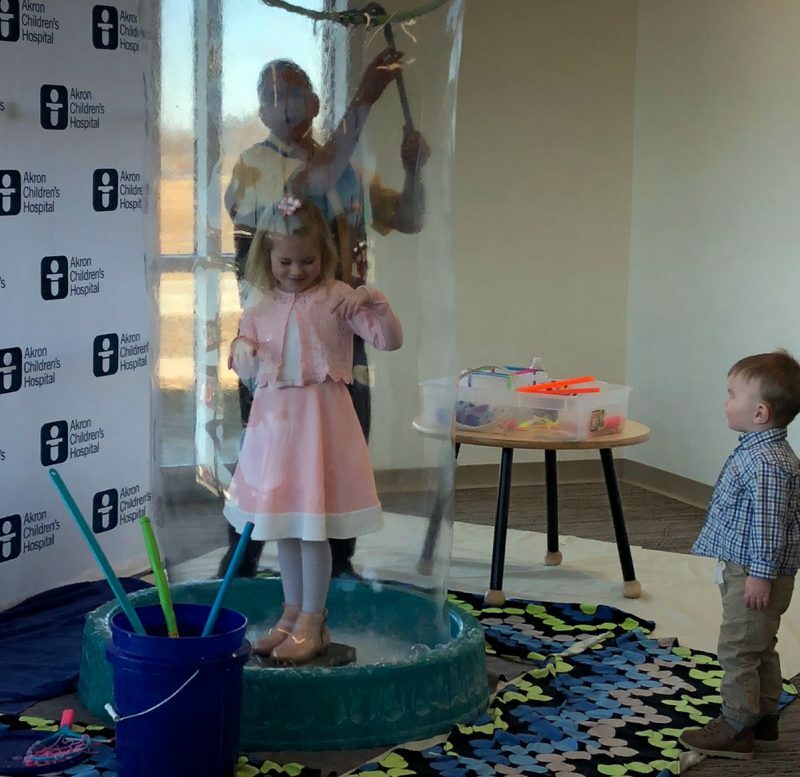 To help showcase the health center, a scavenger hunt path led guests through the space and ended with a prize and an opportunity to have fun in a photo booth. The magic show by Bob Lapp kept the audience’s attention with fun routines and even a live rabbit! The family of Layla Bryant, 8, of Shiloh, proudly takes her photo in front of her second grade artwork on display in the office.